Below are some suggestions from Aquinas Learning parents on how they prefer to make use of audio media. Note: Stream from the class website via your phone to a Bluetooth speaker in order to hear the songs ordered by week without having to do any extra work! 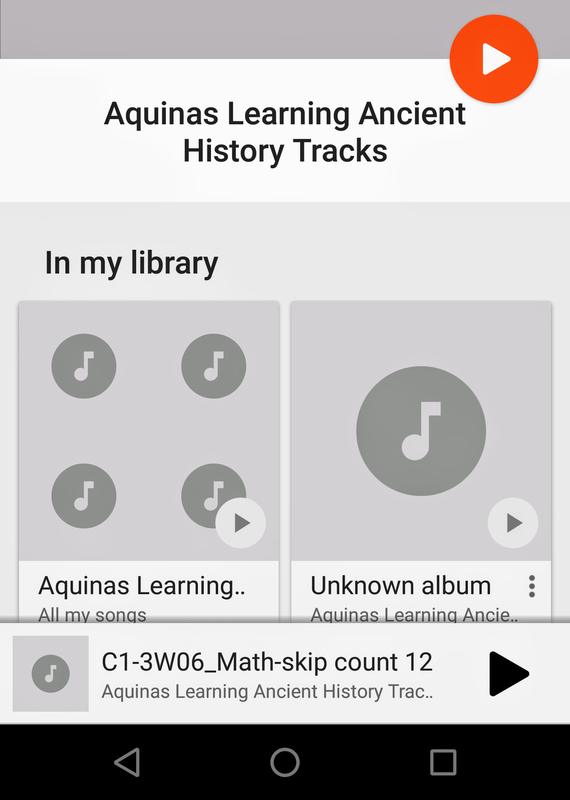 Aquinas Learning tracks uploaded to a playlist in Google Play Music.